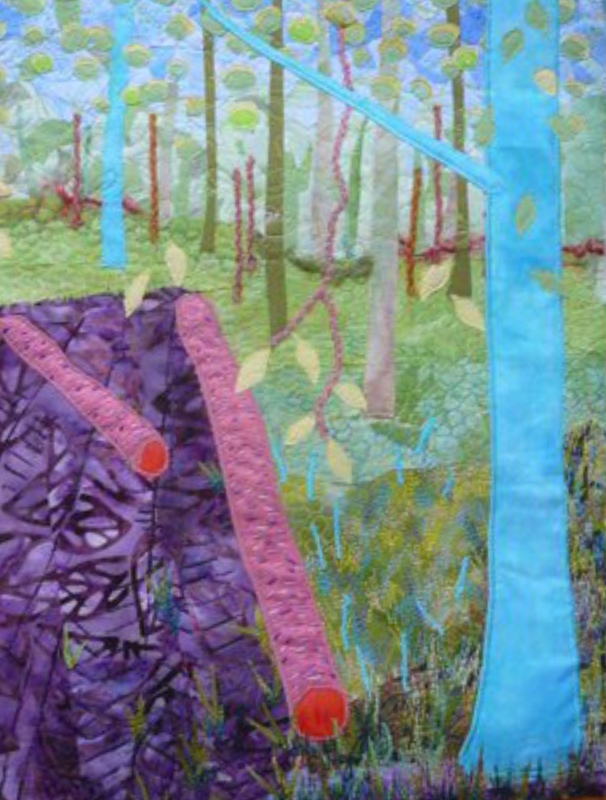 This weekend sees the launch of the latest body of work by Lincolnshire based textile group LINQS. The group, which welcomes any gender and any ability, is now in its fourth year. The only criteria for becoming a member is that you must reside in the county of Lincolnshire. 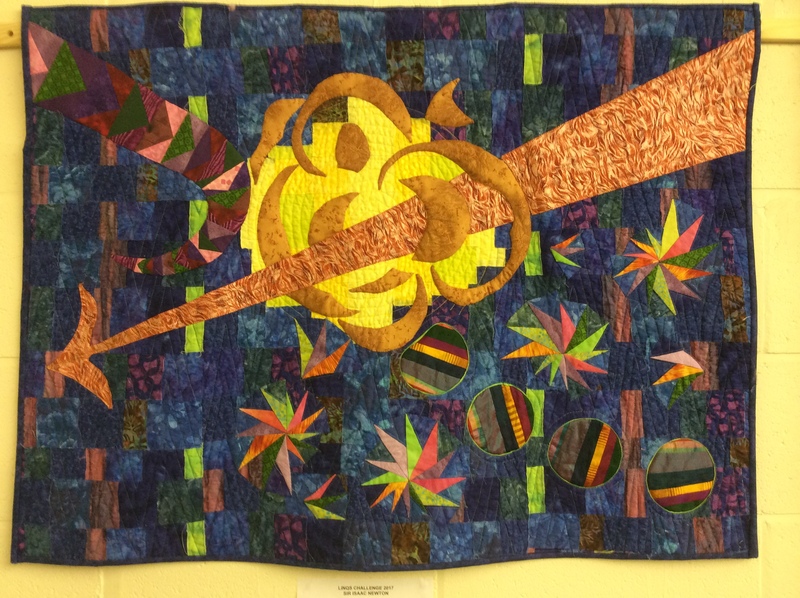 Members are given an annual challenge to make a quilt, or quilts, based on a particular famous person, place or theme. 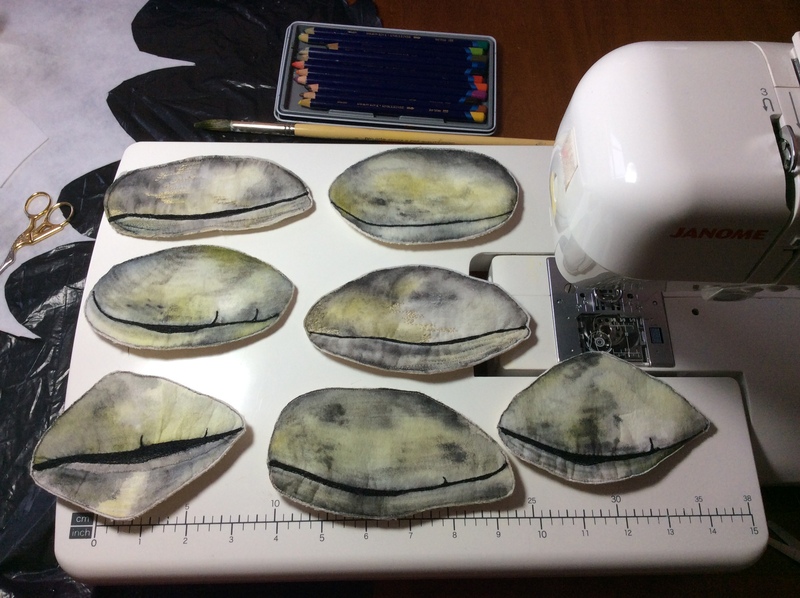 It was being invited to join LINQS in 2014 that first got me started on the path to textile art so I have a lot to thank them for! 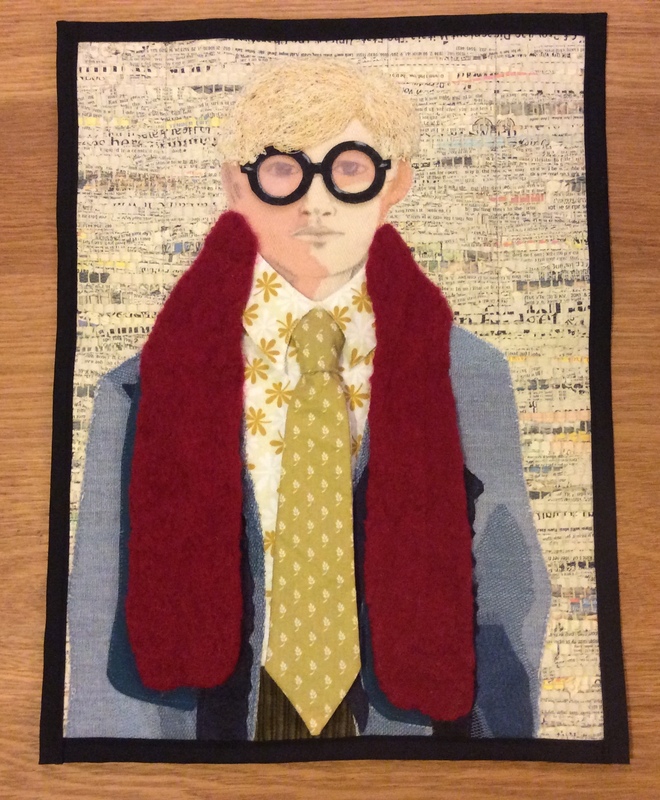 Our first challenge was Inspired by David Hockney. 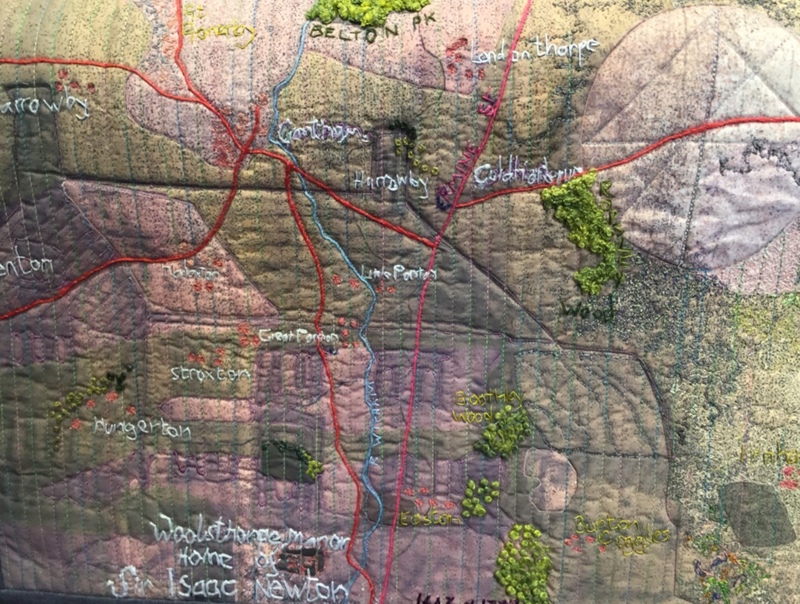 The group had a terrific response from local ladies and secured a national tour with Grosvenor Shows with our quilts being displayed up and down the country. Our work visited venues from Ardingley in the south to Edinburgh in the north and various places in between. 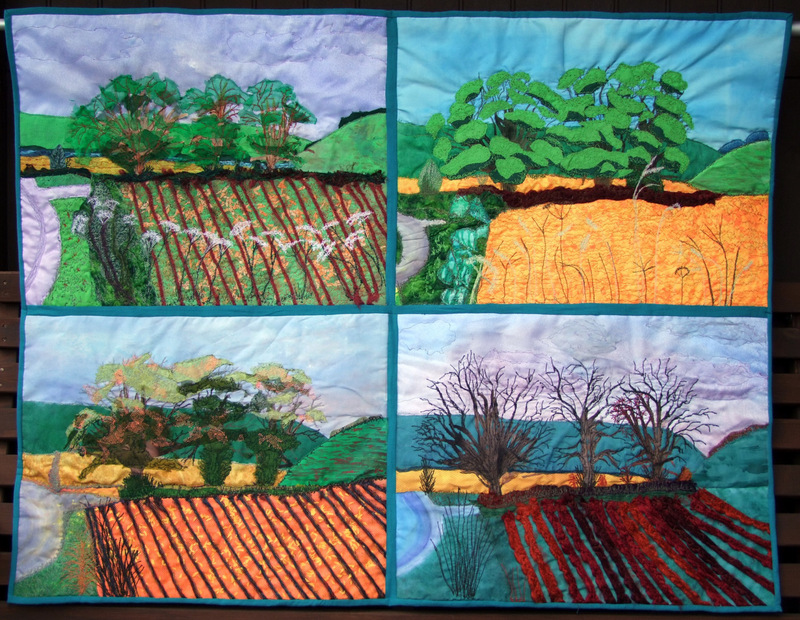 These are just a tiny number of the quilts in the first exhibition….. 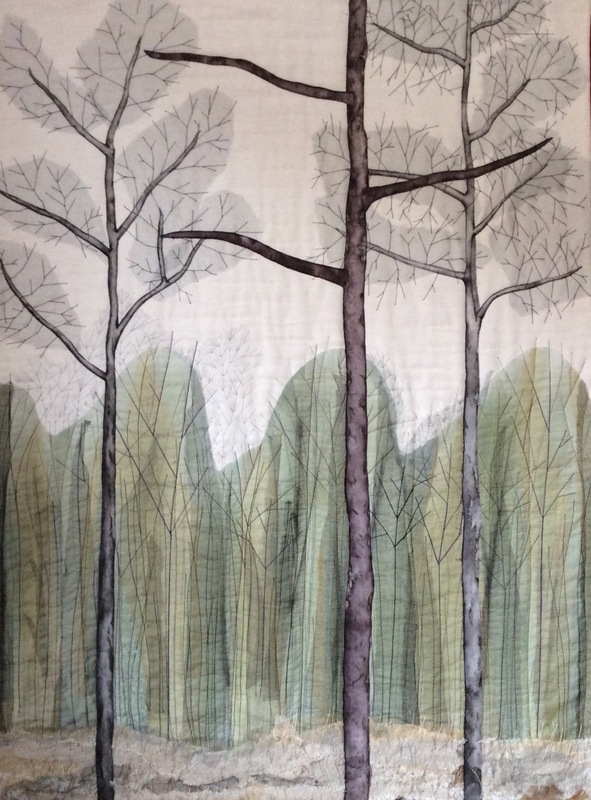 Being completely new to this medium I was fired with enthusiasm and produced four quilts. 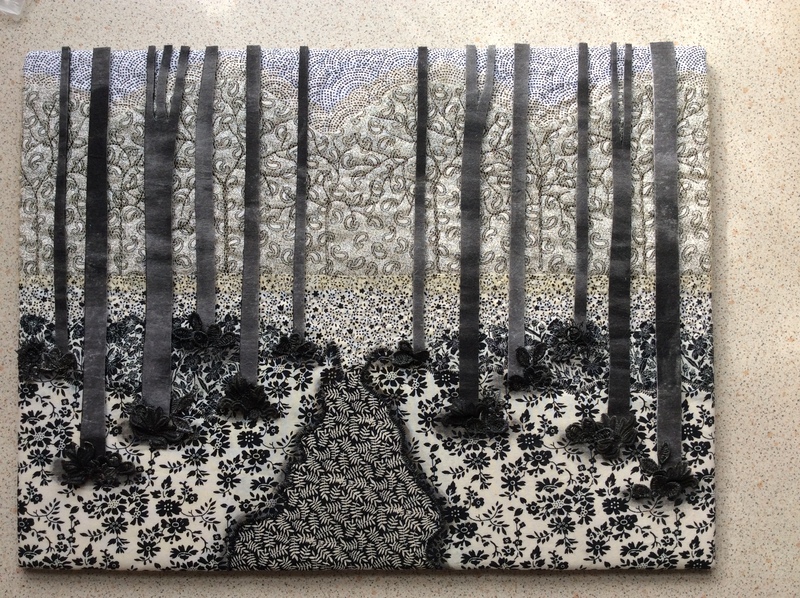 The first was a small black and white take on the painting “Woldgate Woods”…. 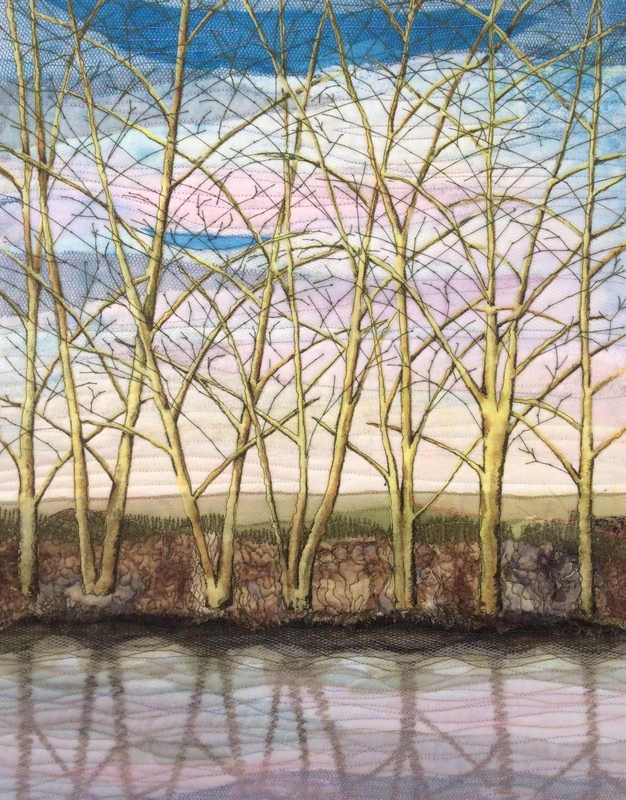 My next attempt was based on a photograph taken by the river in Horncastle, keeping with Hockneys recurring theme of “trees”. The third one was my take on a 1954 mixed Media self-portrait…. 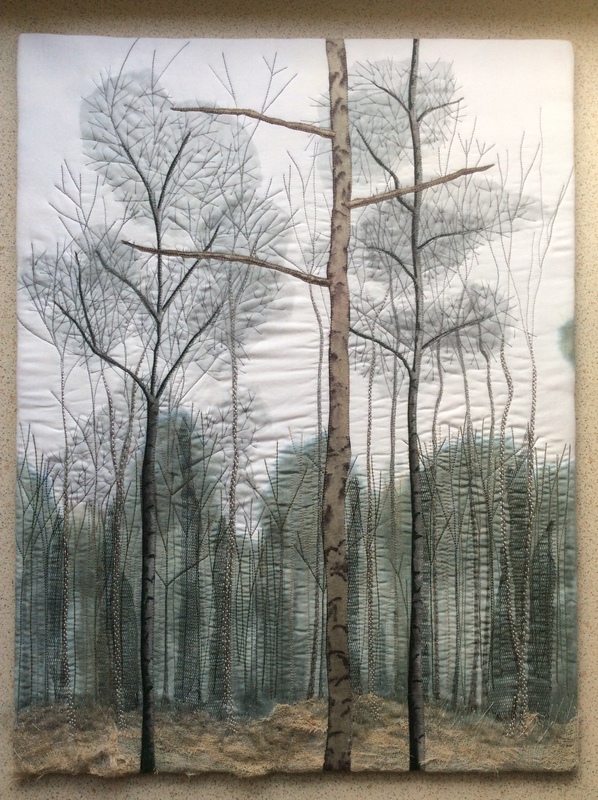 By now I was gaining confidence and moved on from making small quilts (30cm x 40cm) to making my fifth quilt which was 30” x 40”….. The following year it was decided that in future we would make our person, place or thing “Lincolnshire” based and Isaac Newton, being born in the county, was selected. 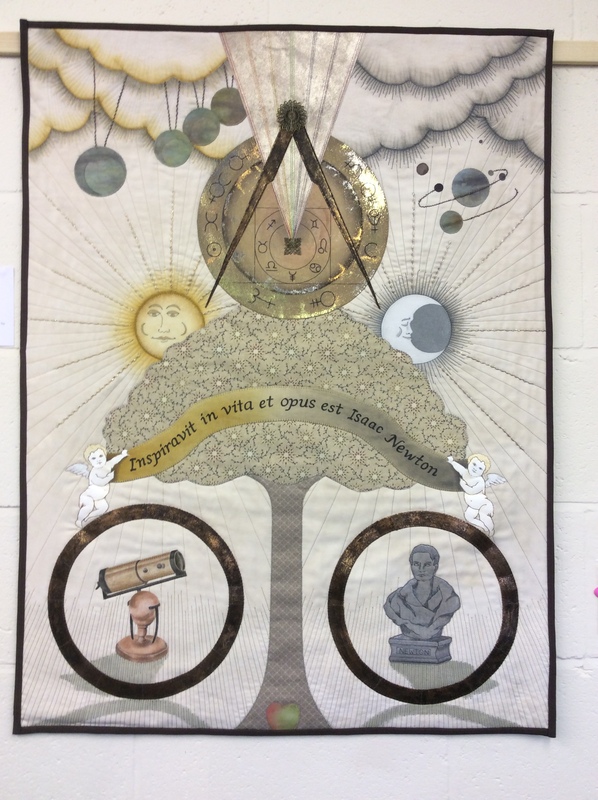 These are a few of the quilts from that show created by four of the members…..
Our third challenge was to make quilts inspired by the famous Botanist and Explorer Sir Joseph Banks whose family estate was at Revesby. The first showing of this body of work will be this Friday at “The Village”, Lincolnshire’s only living museum, which is in Skegness. Banks became the president of the Royal Society in 1777, where he remained until his death in 1820. He was known as a prominent endorser of travelers and scientific men. Many voyages of discovery were approved and carried out under his supervision. He was the first person to introduce the Western world to acacia, mimosa, eucalyptus and Banksia, a genus named after him. About 80 other species of plants were also named after him. While researching Banks I came across an image of a Banksia Seed Pod which had been charred in a bush fire. Anyone who knows my preferred colour palette will recognise why this provided the inspiration I needed for my Banks quilt! Next came the individual “pods” (no idea of the proper technical term for these bits!) which were cut from painted interfacing free machine embroidered and wadded with thick felt….. 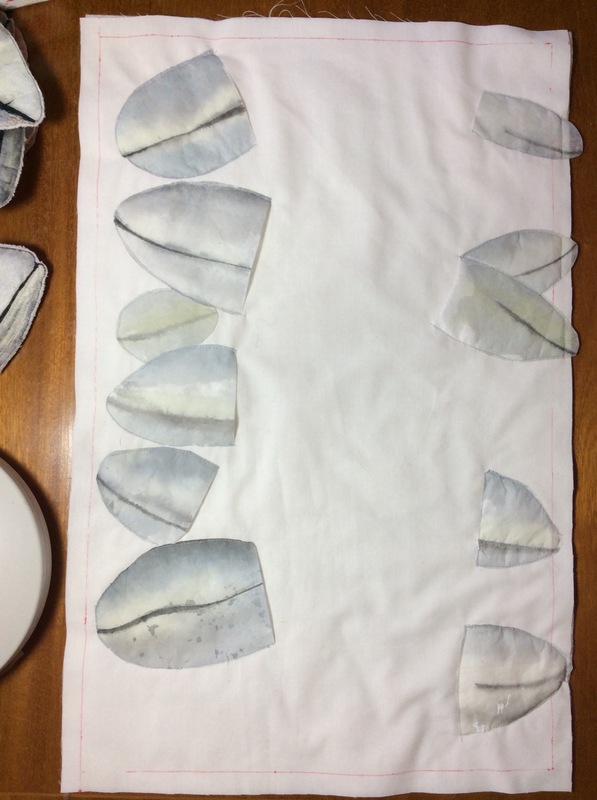 The main body of the Seed Pod was wet Felted Norwegian fibres, free motion stitched before adding the “bits” on top. My finished piece measures 48cm x 30cm. 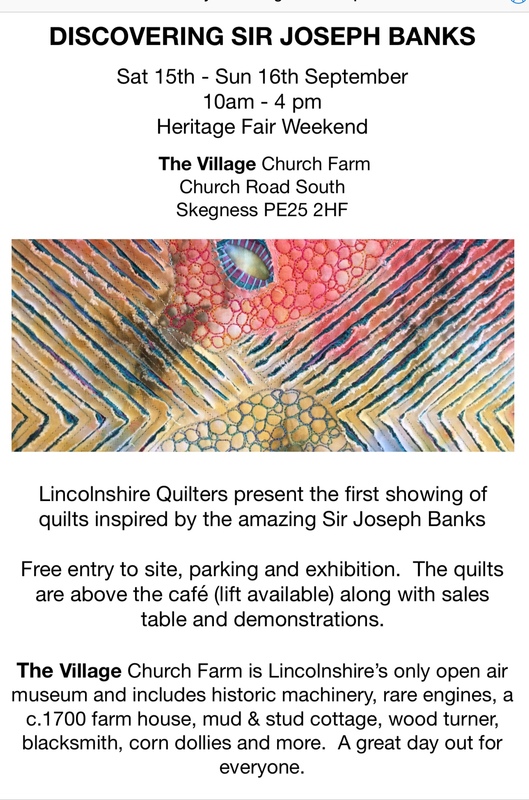 I can‘t show you anyone else’s work as I don’t have photos as yet but if you are in the Skeggy area this weekend why not drop in and see them for yourself. For everyone else I will post an update very soon. 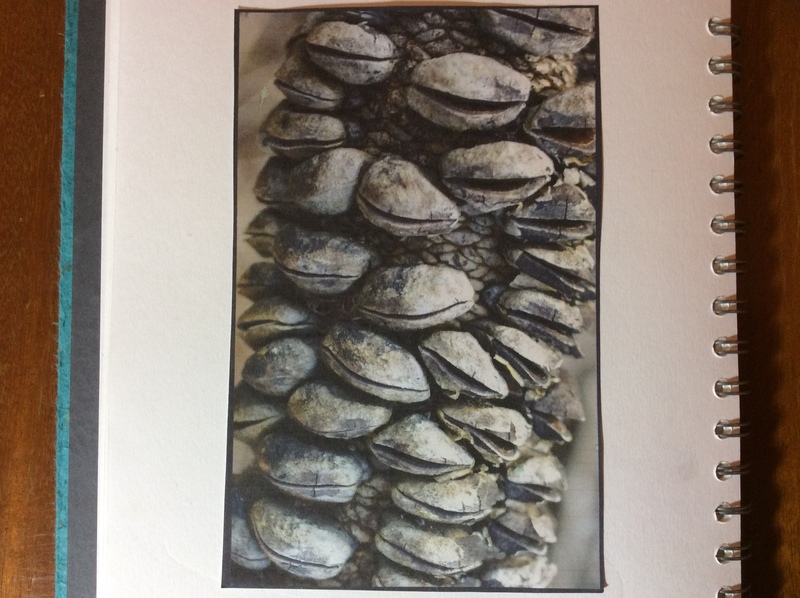 This entry was posted in Guest Writer, Mixed Media, Shows. Bookmark the permalink. Wohw Karen, what a wonderful work ! Queit something else then used to. Lovely all those different pieces, all new technique for me… but see it lately you see it a lot more, laserprinting and embroidery together with felt. I feel the same, there are so many techniques yet to try….just not enough hours in the day! There is such a wealth of talent in the group Ruth. 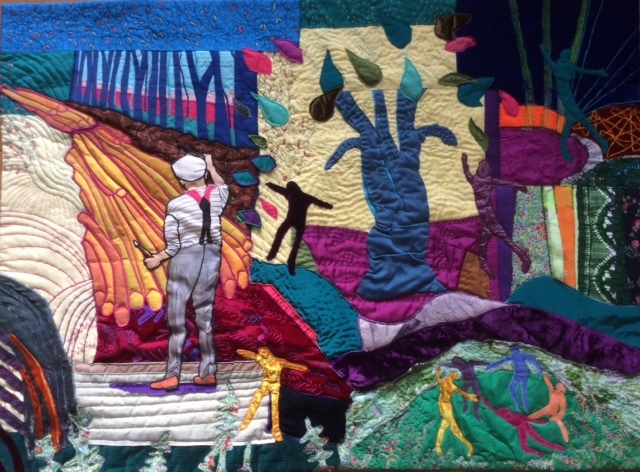 I’m really looking forward to seeing the rest of Quilts when we set up the exhibition on Friday. Love the colour palette and your lateral thinking with all the materials. The ‘pods’ look like great fun to make. I await your photos of the other quilts with interest. Good luck with the exhibition. Thanks Antje. I did enjoy making the pods up to a point. 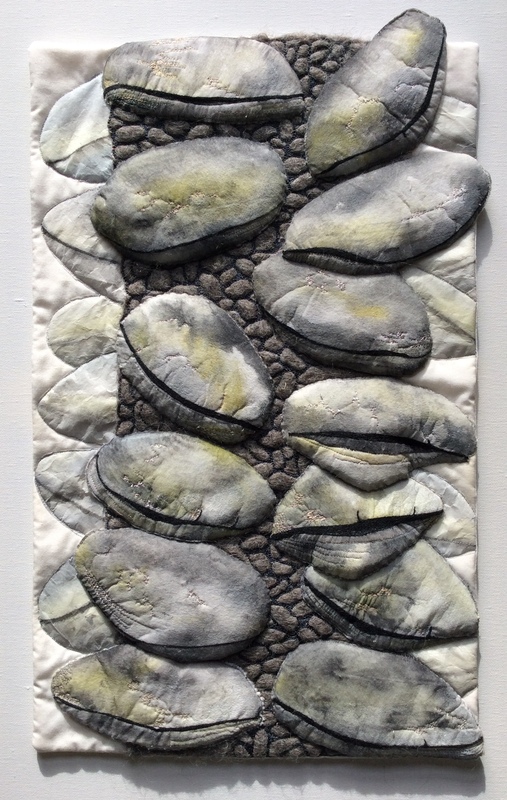 Originally I was intending to do a much larger version of the Banksia but after making 13 pods decided life was too short so made the smaller quilt instead! Beautiful works! Such lovely colours and designs. Thank you for posting the photos. Thanks Lyn. It’s always great to see the variety of styles and techniques the different members use in their work. 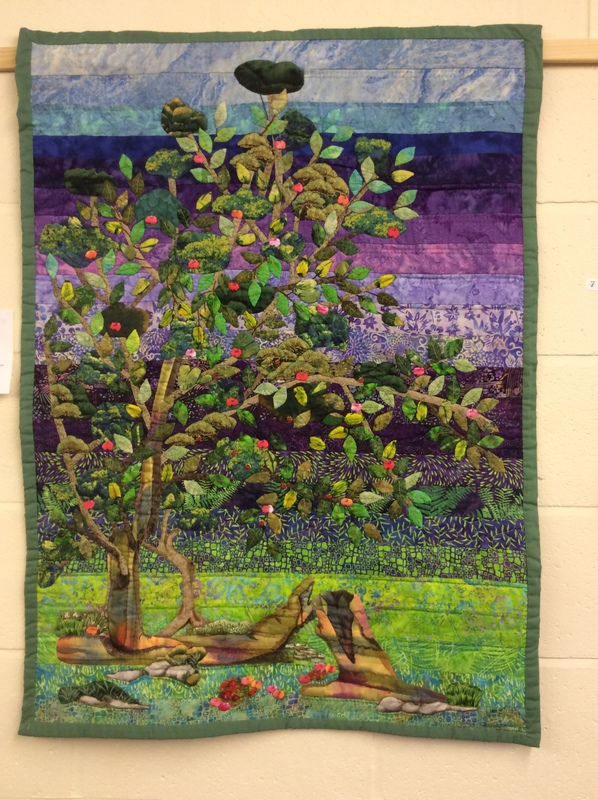 All beautiful quilts and such a variety of interpretations. Your Banksia is wonderful. Thanks for sharing. Glad you enjoyed seeing them Marilyn. Beautiful quilts, so lovely. Such talent that it makes me want to relocate to Lincolnshire. 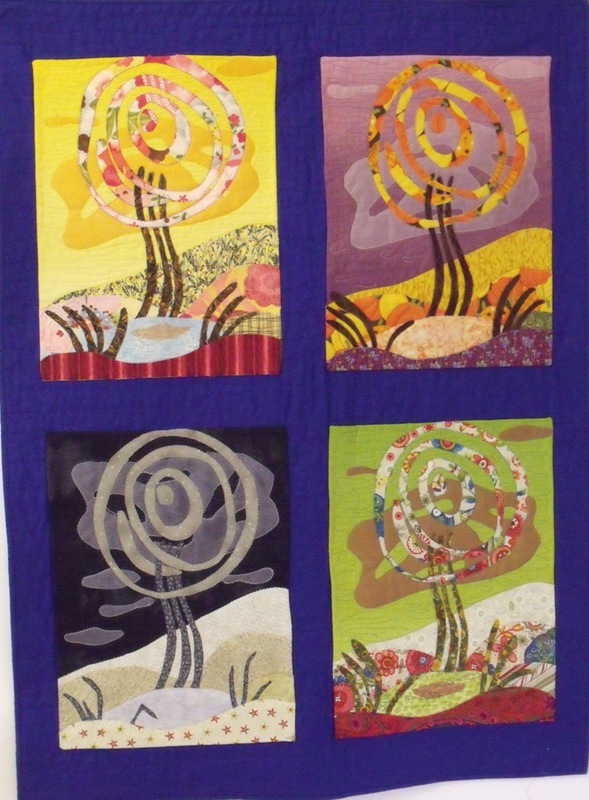 The real show-stopper though is your gorgeous seed pods quilt. It is magnificent. Heart-stoppingly lovely. Wow Lindsay, I just hope we get such an enthusiastic response from a few of our visitors this weekend! Thank you for your encouraging words. What great pieces! I remember the Hockney Challenge and especially your trees piece. It inspired me to get some water colour pencils/blocks. I’m looking forward to seeing the pieces in the Joseph Banks challenge if you get chance to photograph them.